For some time now I have been running exclusively in Ubuntu on my corporate LAN with very few problems. Initially I used Evolution as my mail client as it could directly link up to MS-Exchange server so I got all my mail, global address book and calendar. But when my company updated to MS-Exchange server 2007 Evolution was no longer able to do this so I went over to Thunderbird. This was fine as far as mail and contacts were concerned but I could not get the Lightening calendar addon to synchronise with Outlook. 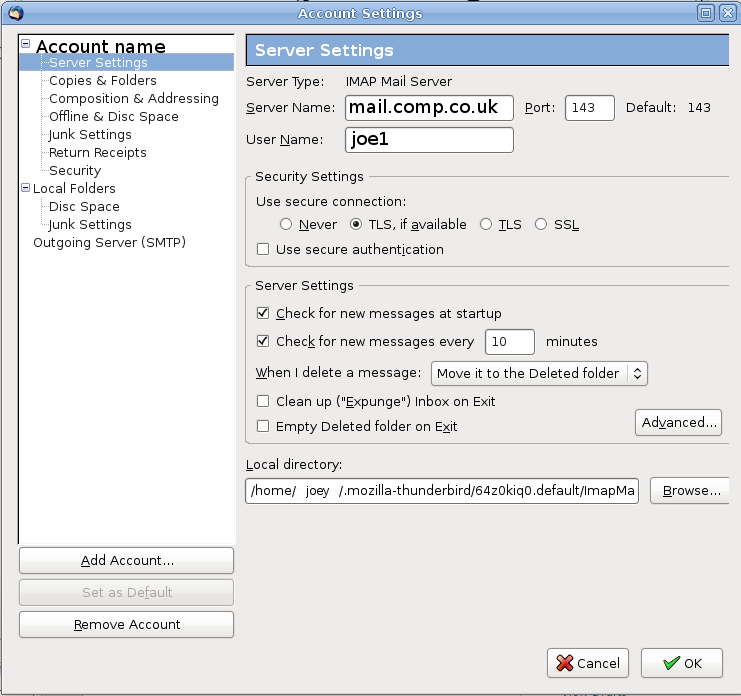 I tried the method suggested by Ryan Hadley but I just couldn’t get it, so I gave up on Outlook altogether and just used Thunderbird/Lightening. 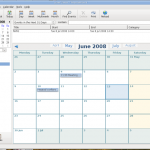 Then I read over at Lifehacker about synchronising any desktop calendar with Google Calendar. I followed the very clear instructions and in seconds I had my desktop calendar sychronising with my Google Calendar. This was great as I could now access all my events etc. from any PC, but it got me thinking of synchronising with Outlook again so I had another crack at it, but with no luck. It then it dawned on me after looking at the image above from the Lifehacker article If I synchronised Thunderbird with Google and Outlook with Google then in effect all three would be the synchronised, obvious really. I use it primarily to recycle older PCs usually Pentium III so eye candy and effects provided by Compiz Fusion are not really an option on these systems. But since moving all the computers on my home network to Ubuntu I have been playing around with a few things. I particularly like the Avant-Window-Navigator (AWN) which is a dock app-launcher similar to that in Mac OSX. 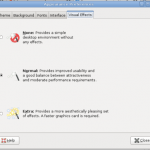 First you’ll need to find out if your system can handle the effects, Compiz Fusion is already installed in Ubuntu 8.04. 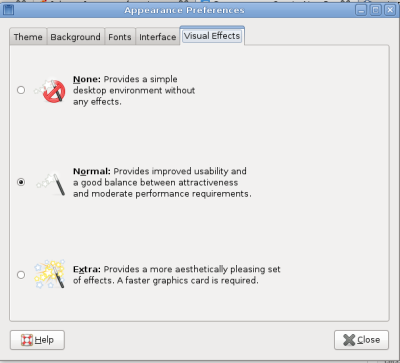 Go to System>Preferences>Appearance>Visual Effects. There are three settings try them, if you can’t get normal or extra to work then your system and video card can’t handle the effects so I’d stop here. If you can get normal at least to work great. field, AWN should now start automatically the next time you reboot. 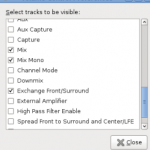 You can find out about AWN settings etc. in System>Preferences>Awn Manager. There are other dock app-launchers such as Cairo-dock and Kiba-dock, full details of how to install Cairo-dock in Ubuntu can be found here. 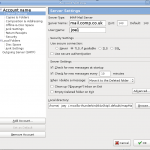 Now if the basic Compiz Fusion functions are not enough for you you can install the Simple Compizconfig settings manager (simple-ccsm) via Synaptic as before. This will give you and added choice of Custom on the Appearance-Visual Effects window where you can modify things the way you want. If this is still not enough then you can install the full blown Compiz configuration settings manager via Synaptic, this will give you access to all the possibilities available in Compiz Fusion in Settings>Preferences>Advanced Desktop Effects Settings. 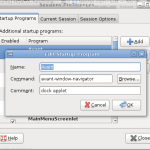 The window manager or theme manager in Gnome is called Metacity and there are lots of themes available for it. If you are playing around with Compiz Fusion then you might also want to have a go with another theme manager or window decorator called Emerald. You can once again install this through Synaptic and have it run at startup by adding it to your session as before with the command emerald –replace, which will ensure the next time you log on Emerald will replace Metacity. The Emerald Theme Manager can be found in System>Preferences. Again there are a huge number of themes available here for Emerald. I made a couple of screen casts using Compiz Fusion but quite frankly they were rubbish. There are loads of demonstrations on You Tube, here’s a particularly nice one. Another thing you might want to try is using other Window Managers. 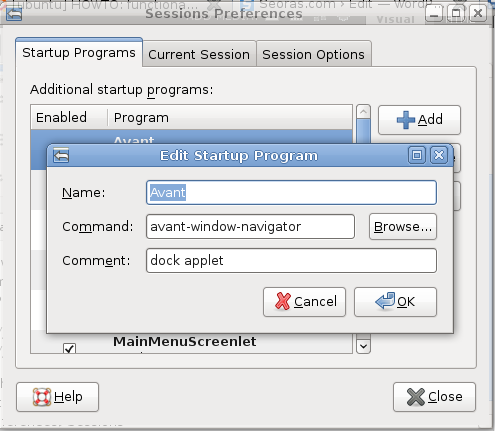 Ubuntu ships with Gnome as the window manager and there are other flavours of Ubuntu such as Kubuntu which uses KDE. There are a few others such as Enlightenment, Open Box, Icewm and Fluxbox, do a search in Synaptic for Window Managers. If you install any of these it’s fairly easy to switch between them, just log out of Ubuntu as normal then log in again. Before you type your username and password click on the Options button on the bottom left of the screen. Here you’ll see a number of options, one of which is Select a Session, click this and select the Window Manager you want to try and that’s it…have fun. I stumbled upon this today, Full Circle Magazine, looks like it’s been on the go since April 2007. I’ve only started reading the back catalogue myself but first impression is that it could be a useful read for a wide range of people. It’s not too technical but does cover a few very useful topics. One of the tasks I faced in moving completely from Windows to Ubuntu was to transfer all my saved emails and my profile from Thunderbird. In Windows locate your Thunderbird profile, this will usually be in Documents and Settings>YourName>Application Data>Thunderbird>Profiles. The profile folder will be named with a random 8 character name and a .default extension (e.g. htg34gtd.default). You should be able to access your Windows partition from Ubuntu so once you’ve located the profile folder just copy it across to your Ubuntu partition. Where oooooooo = the 8 character name of your folder. Now run Thunderbird, all being well you should now see all your emails etc as they were in Windows. This was not the case for me however, Thunderbird decided to create a new profile .default folder but all I had to do was delete it and rename the one I copied across to the one Thunderbird created…voila! I’ve been transferring everything I do with computers both at home and at work from Windows to Ubuntu Linux. 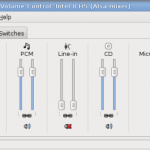 One of the things I did regularly in Windows was to record either streaming audio or audio from a device plugged directly into my sound card. I have a long term project to get all my old cassette tapes digitized. 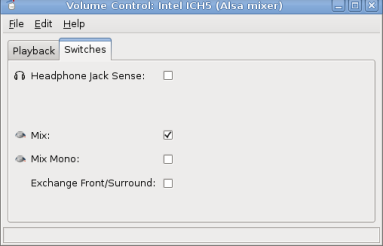 In Ubuntu 8.04 I installed Audacity from Synaptic, then selected each input device in turn under Edit>Preferences>Recording but none of them worked or produced an error. The solution was however quite simple and not with Audacity at all. 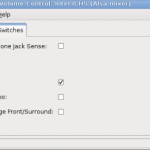 I opened up the master volume control on the Ubuntu panel by right clicking on the icon and selecting Open Volume Control then selected Edit>Preferences. Next make sure the boxes marked Mix and Mix Mono are checked then Close. 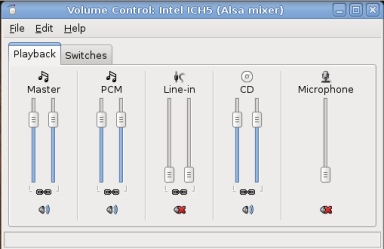 Close the Volume Control and then re-open it and select the Switches tab and check the box for Mix and close again. 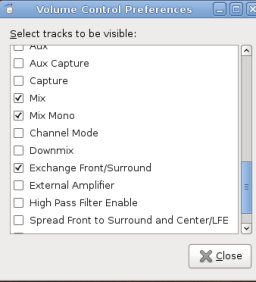 Finally in Audacity in Edit>Preferences set the Playback and Recording devices to ALSA:default. That’s it, now anything playing through the sound card be it streaming music or from an external device such as a tape player can be recorded. Like so many people I have to use Windows at work because that’s what we’re supplied with and our IT support refuse to support anything other than Windows and MS Office. But like many other people I find Windows a real pain at times and I’d really like to use Ubuntu…but how? Well the answer was even simpler that I could imagine. The first stage was to create a dual boot system. It was important to defragment the HDD before going any further as I have read of many problems encountered by not doing this. Then simply boot from the Ubuntu (Feisty 7.04) live CD and hit Install. The process is fairly straightforward, the only complicated part being the creation of the partition for Ubuntu to reside on. That done you can re-boot and choose to boot to Ubuntu . So far so good. 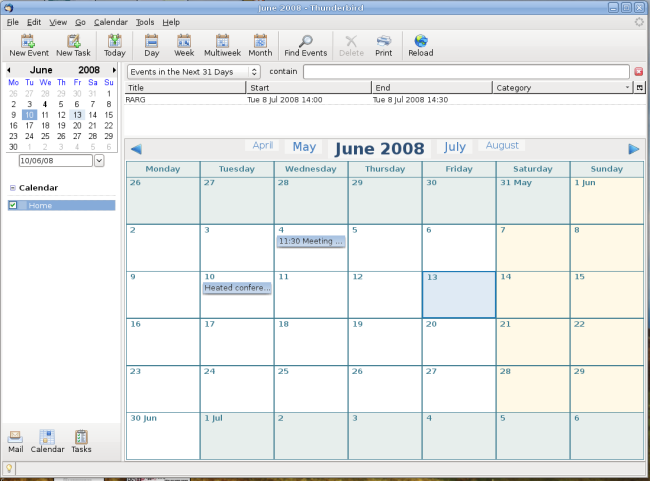 Now, how about my email (MS Outlook), calender and contacts? At first I wanted to use Thunderbird as this is my email client of choice, but it doesn’t interface with MS Exchange server. The solution was staring me in the face, Ubuntu installs Evolution as the default email client and amazingly it can interface with MS Exchange server using the Outlook Web Access (OWA), which is usually something like https://mail.yourcompany.com. 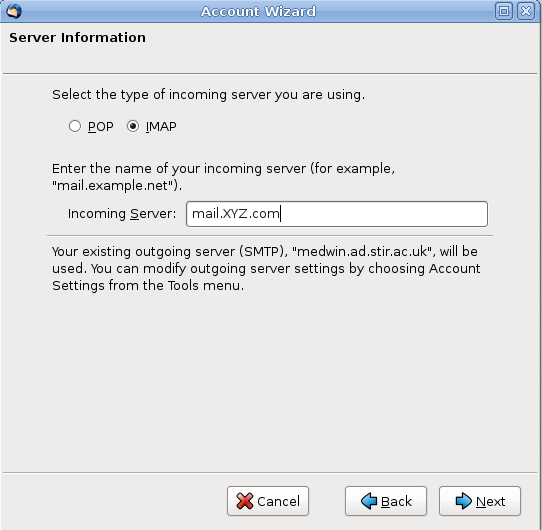 Evolution is very easy to set up and if you choose MS Exchange Server then you’ll need to input your OWA URL. The last thing to set up with Evolution is your MS Outlook Global Address list (if you use it). To find the address for this list (from Windows) open your Address book in MS Outlook, right click on global address list and click properties, this should give you the server address for the list. You can then set this up in Evolution by going: Edit>Preferences>Mail Accounts then click on your mail account and click edit, under receiving options there’s text box for you to add the URL of your global address list. Job done, you should now be up and running on your corporate LAN with access to your Email, Contacts and Calender. 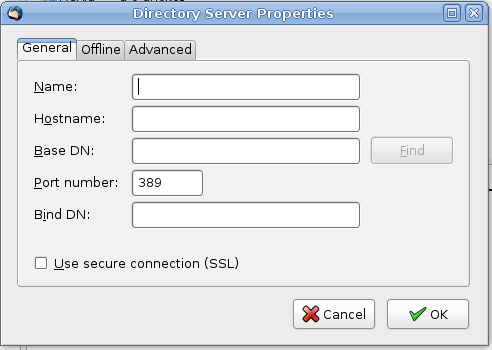 There’s lot’s more functionality you can add like accessing shared folders on servers etc. 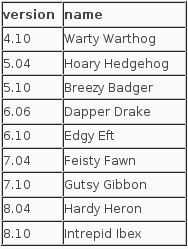 but most are fairly obvious.